 Macat Critical Thinking Assessment & Development (CTA&D) combines an intuitive assessment and analytics platform with a comprehensive set of learning resources, to help measure, analyse and develop critical thinking skills in your organisation. CTA&D has been designed to help organisations from across the world to recruit those who demonstrate the strongest critical thinking skills, address skills gaps amongst employees, and help their business to be more efficient, creative, and successful. The assessment and learning platform are also available as standalone solutions. The only critical thinking solution to combine assessments, analytics and learning development. Based on a robust critical thinking model - PACIER - developed with the University of Cambridge and verified through the world’s largest critical thinking study (10,000 participants). Supported by a team of advisors comprised of leading experts in assessment and critical thinking. After a short on-boarding process, we will provide you with access to the online assessment platform, where you can easily deploy assessments to your employees and manage their usage. Each 45-minute assessment includes a series of interesting questions based on real-life scenarios, which address the six interlocking critical thinking skills, defined by Macat as PACIER skills - Problem-solving, Analysis, Creativity, Interpretation, Evaluation and Reasoning. Once employees have completed the assessment, they can access the platform's interactive analytics dashboard to review results in real-time, explaining how they scored and areas for improvement. Organisations will also have access to the analytics platform, with the ability to view results by institution, class or individual, or download the full report in PDF format. Employees will now be served with a number of online exercises that address the specific PACIER skills in which they need improvement. Upon completion of the exercises, the organisation can decide to run the assessment again, analyse where improvements have been made, and address remaining skills gaps through further exercises.